Samsung’s first-ever foldable phone feels like it’s from the future, but also stuck in the past. 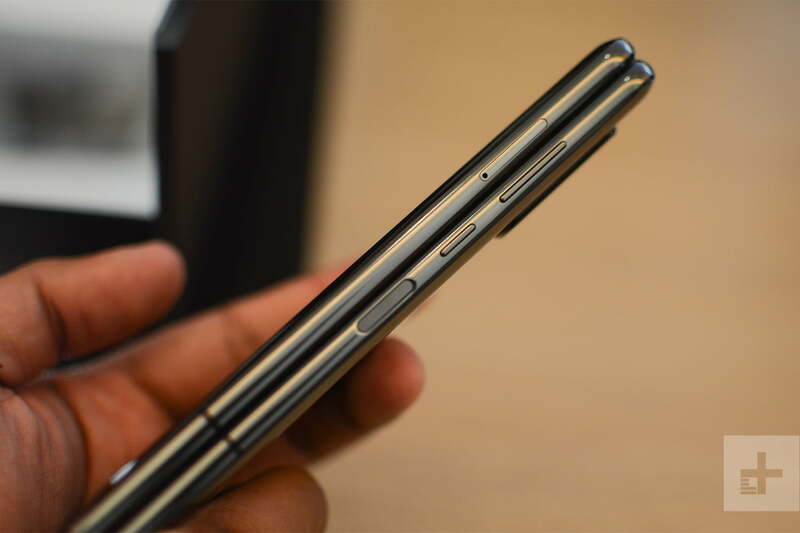 The Galaxy Fold is packed to the brim with all the latest, and it works seamlessly — but the thick design and chunky bezels around the front reminds me of the T-Mobile Sidekick. That’s part of the trade-off that comes with a phone this different. It’s unlike any other, and it will drastically change the way you use your phone. Foldable phones will usher in a new world of multitasking on the go, and though its design isn’t perfect, Samsung’s first step is promising. 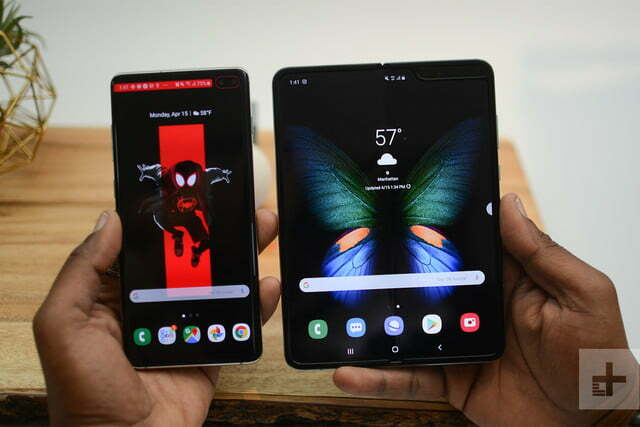 The Samsung Galaxy Fold has three screens. The first is what you see when you hold the phone folded up. It’s a small, 4.6-inch Super AMOLED screen (1,960 x 840), and it’s surrounded by thick bezels that make it look like its from 2008. Open the Fold up like a book, however, and you’re greeted to a sprawling 7.3-inch QXGA+ Dynamic AMOLED screen (2,152 x 1536). The 7.3-inch screen is what steals the show. Samsung calls it an Infinity Flex display, made from bonded layers of polymer material. 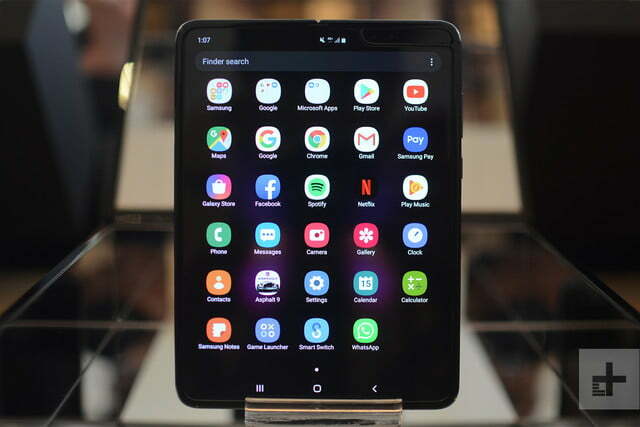 The company showed off a video of the phone undergoing stress testing more than 200,000 times to show how well the foldable screen works, and the dual-axis hinge design does not disappoint. Opening it is easy once you get a good grip on the edges, but snapping it shut is so much more satisfying — like hanging up a call on a flip phone. The screen is beautiful. It does look laminated, and that’s because of the polymer material, which is what allows it to be folded. It doesn’t have a lot of glare, which is nice, but I haven’t tested the phone outdoors just yet. The screen on the front is a little harder to judge because it’s so small. It looks fine, but apps and other content can look squished — I quickly wanted to open the phone up to the 7.3-inch screen. The short answer is yes, there is a crease and yes, it’s obvious. 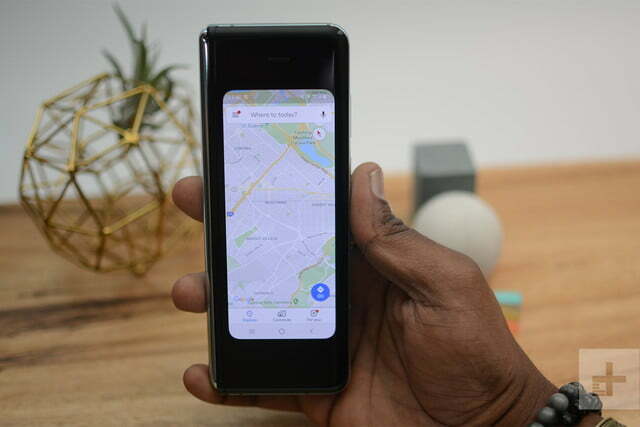 One of the biggest concerns with foldable screens is whether there will be a visible crease in the middle when the phone is fully open. The short answer is yes, there is a crease and yes, it’s obvious. The crease is distracting in a few full screen apps, and most noticeable when watching video. This is the feature I most want to examine more closely. It’s possible I’ll begin to ignore the crease after I’ve used the phone for a week, or it might begin to annoy. It’s too soon to tell. 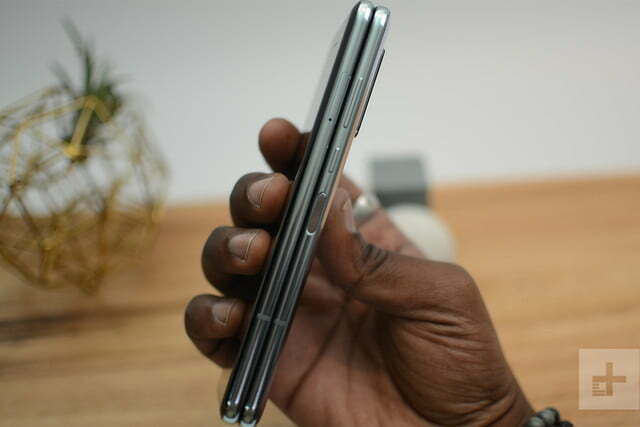 When folded, the Fold more or less takes up the same length as the Galaxy S10 Plus, which I frequently carry. The thickness is noticeable, but I didn’t think about it. It will be a problem for those with small pockets, but that’s already true of many large smartphones. 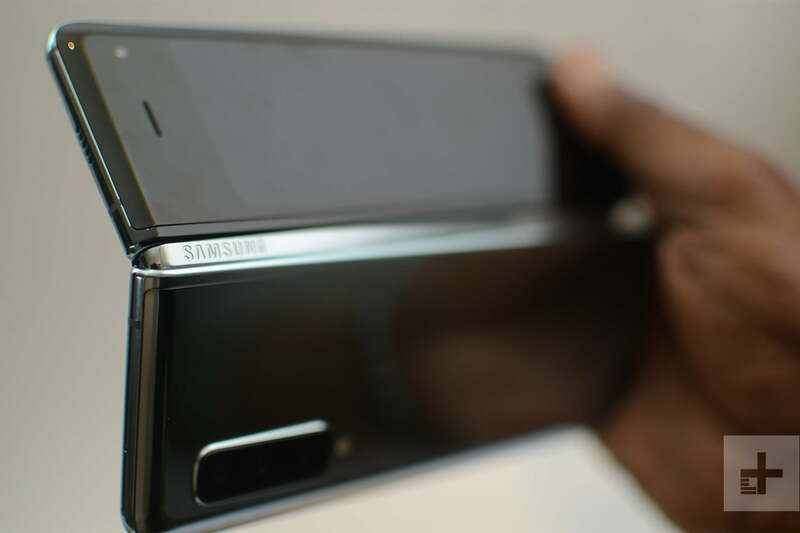 There’s nothing but a camera on the back of the phone, and the side with the hinge is free of buttons. 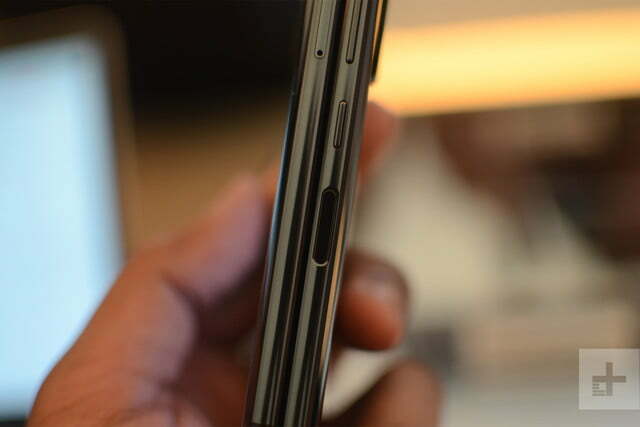 The hinge also hides away when you open up the phone. 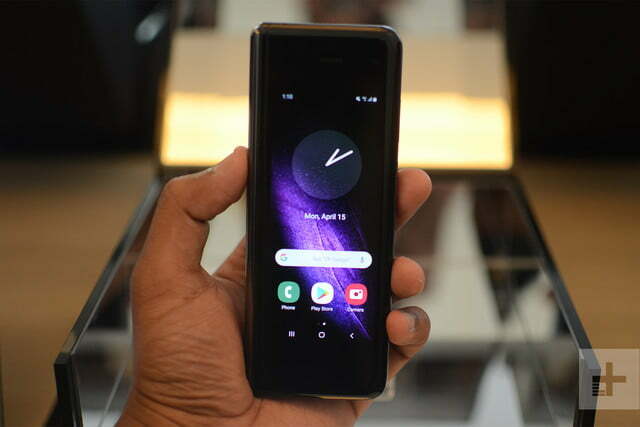 It’s on the other edge that you’ll find the power and volume rocker, as well as a fingerprint scanner not unlike the one on the Galaxy S10e. 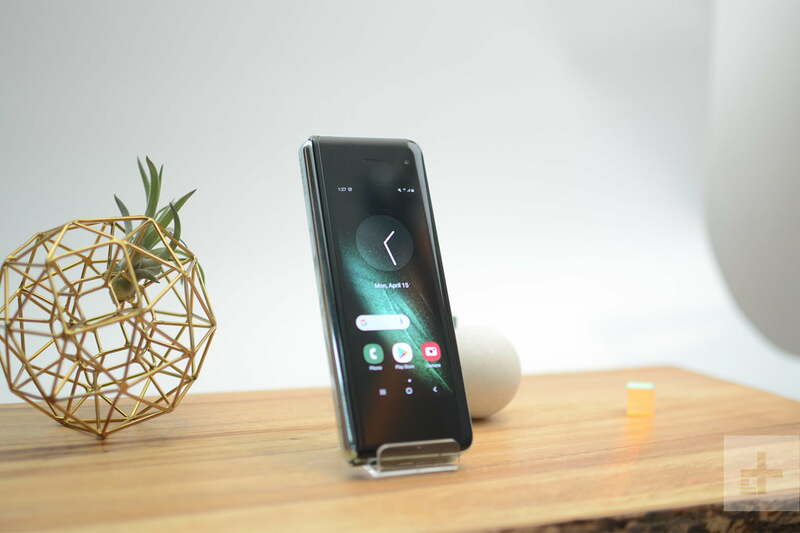 The scanner doubles as the Bixby button when pressed, and will call up Samsung’s virtual assistant. 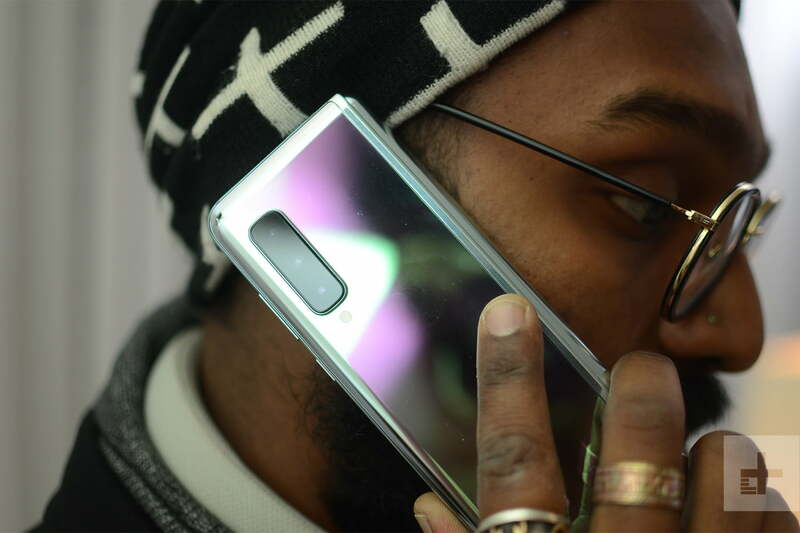 There’s no fancy in-display fingerprint sensor like on the S10 or S10 Plus — which may be a good thing considering the issues many people are having with its reliability and accuracy. There is a basic face unlock you can use to unlock the screen as an alternative, but it’s not secure like Apple’s Face ID. 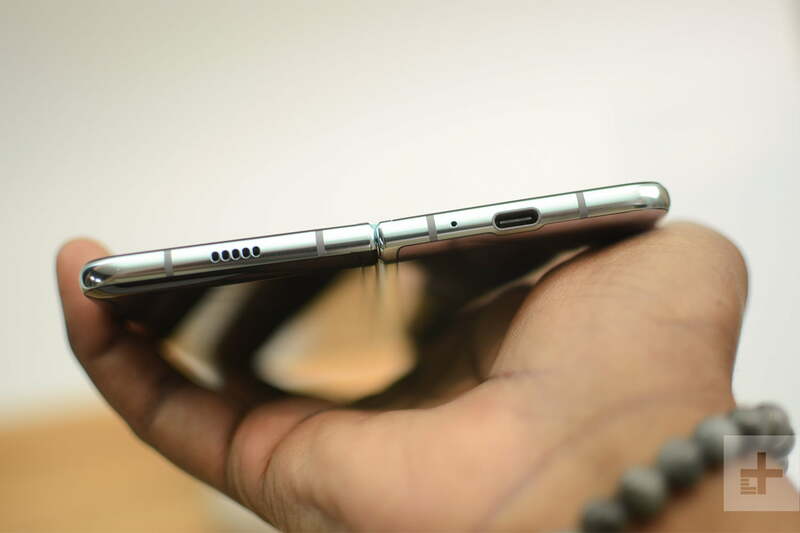 This may come as a shock, but there’s also no headphone jack — it’s one of the first flagship phones from Samsung to omit the port — so you’ll have to rely on wireless earbuds or headphones. The phone is not water resistant, either. Samsung’s One UI software, running over Android 9.0 Pie, is not too different from what you’ll find on Samsung’s standard phones. When you’re out and about, you’ll likely just be using the 4.6-inch screen on the front to quickly respond to notifications. Anything more, and you’ll want to open the phone up to use the 7.3-inch screen. What’s really cool is a feature called App Continuity, which Samsung worked on with Google. It makes any app you were using on the 4.6-inch screen automatically open on the 7.3-inch screen when it’s unfolded. It works quickly and seamlessly, and the same contents of the app remain unchanged. It can work vice versa when you close the Fold, but you have to enable this in the settings. It can be tweaked if you don’t want every app to follow you back to the front screen. It’s much more comfortable using just two apps, as it almost feels like you’re holding two phones next to each other. Edge Panel is replaced by a new floating window you can pull out from the right side of the phone. Tap on apps in this panel and they will open up in multitasking mode — you can open up to three apps for the ultimate experience, but two of the apps are perhaps a little too squished to really be utilized well. It’s much more comfortable using just two apps, as it almost feels like you’re holding two phones next to each other. It’s great, but I’ll need to spend more time using multiple apps continuously to see how much faster it makes me when working, if at all. Not all apps will work well in this mode. Samsung said its own apps, WhatsApp, apps from Microsoft, Google, and Amazon Prime Video will fare well, and expects more apps to add support as the phone is released. 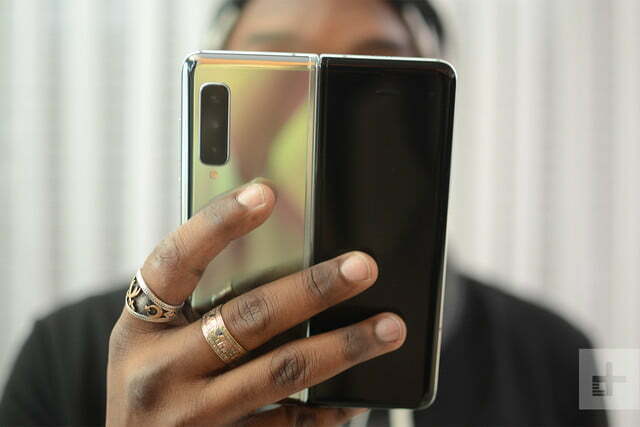 The Fold, like its Galaxy S10 siblings, is powered by Qualcomm’s Snapdragon 855 processor. It’s the flagship chipset of choice this year, and a handful of other Android phones have it inside. It’s paired with a staggering 12GB of RAM, as well as 512GB of internal storage. There’s no MicroSD card slot so you can’t expand storage, but it’s unlikely you’ll need much more. I’d usually say 12GB of RAM is overkill, but considering this may be one of the few smartphones you’ll be using to multitask with other apps open, it’s likely necessary. 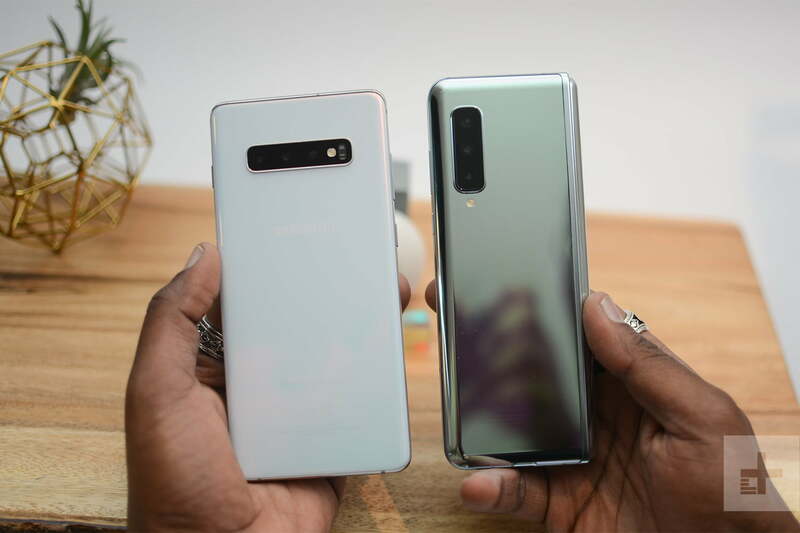 I also figured because the processor has to power essentially three screens, it may struggle here and there juggling several apps, and that performance wouldn’t be as smooth as the Galaxy S10 Plus. In early testing, however, it all felt fluid and fast. I didn’t have the chance to test gaming. 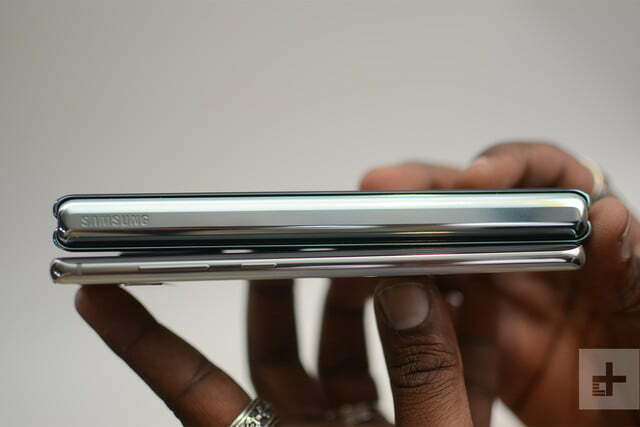 Samsung’s calling this a “dual cell battery,” though it’s unclear how long you can expect the phone to last. 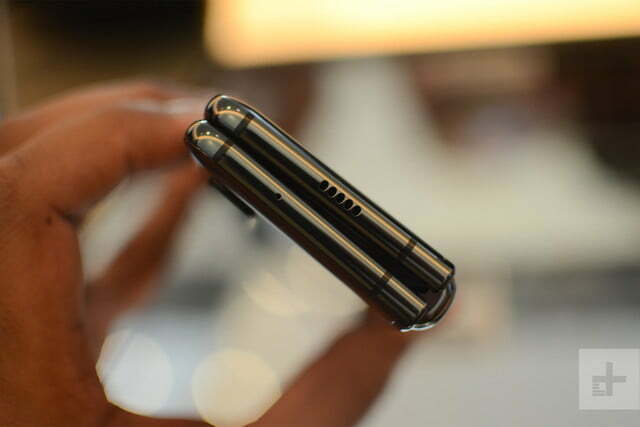 Thankfully, there’s a large 4,380mAh battery inside to keep the phone chugging along. 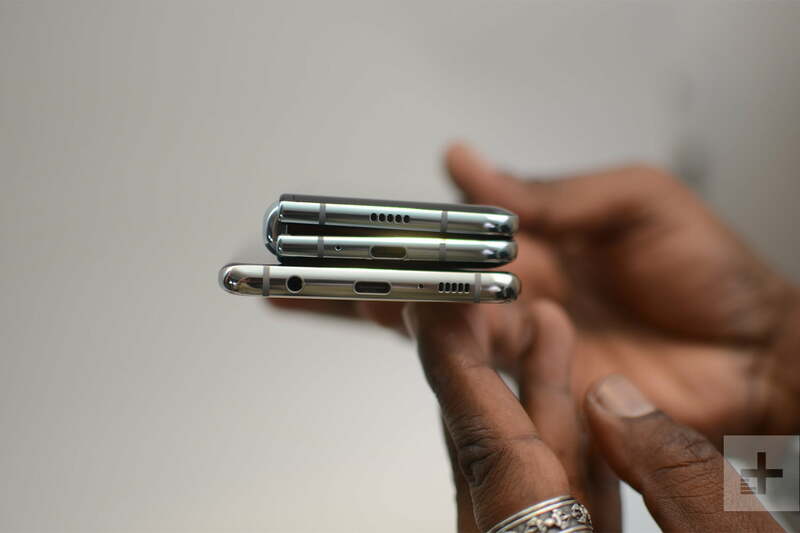 Actually, it’s two separate batteries that are each in either side of the Fold. Samsung’s calling this a “dual cell battery,” though it’s unclear how long you can expect the phone to last. The Galaxy S10 Plus has a 4,100mAh battery, and it easily lasts more than a full day with light to medium usage. Considering there are three screens with a lot more tech to power, I expect you may just see about a day’s worth of battery life, maybe a little less with heavy use. 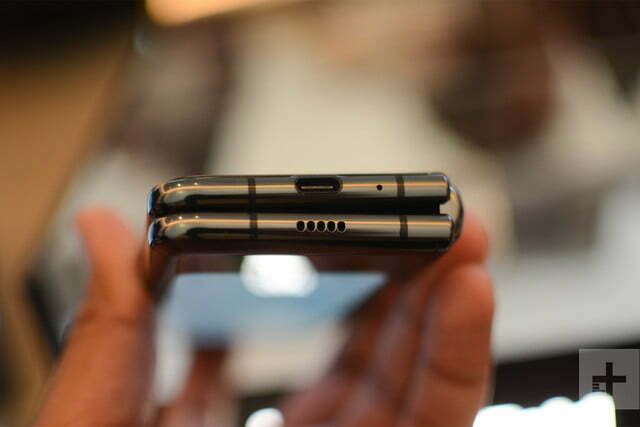 You can charge the Galaxy Fold wirelessly, or with a USB Type-C charging cable. While there’s support for fast charging, it’s only for Qualcomm’s Quick Charge 2.0 technology, which isn’t as fast as other Android phones that use Qualcomm Quick Charge 4.0 or other proprietary technology. 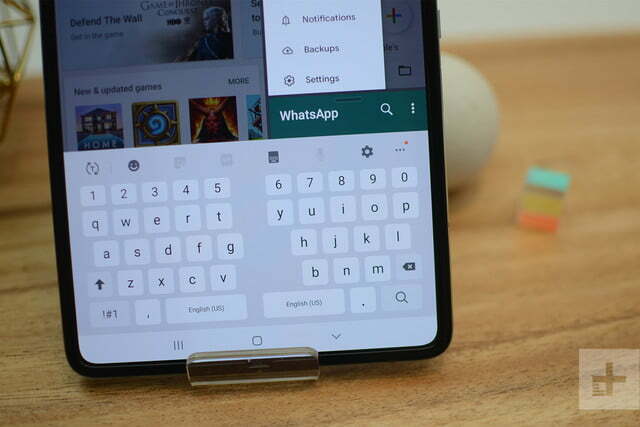 Wireless Powershare, a feature first introduced on the Galaxy S10 series, is also available here. You can turn the Fold into a Qi wireless charger and place other devices that support the standard to juice them back up, like the Galaxy Buds earbuds case, or even an iPhone XS. The camera experience is similar to what we’ve seen on the Galaxy S10 Plus. There are six cameras in total: A 10-megapixel lens on the front, a 10-megapixel lens paired with an 8-megapixel 3D depth sensor on the front when the screen is unfolded, a 16-megapixel ultra-wide lens, 12-megapixel standard lens, and 12-megapixel telephoto lens on the rear. 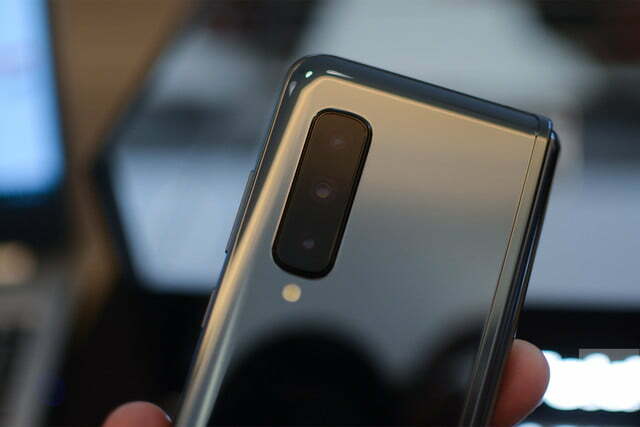 It’s the extra 10-megapixel lens on the front that is the biggest difference between the Fold’s cameras and the S10 Plus’ setup. Our verdict on the S10 Plus’ camera setup can be carried over here to the Fold. Expect strong photos in good lighting; the wide-angle and telephoto lenses add versatility, but details tend to become fuzzy in low lighting. 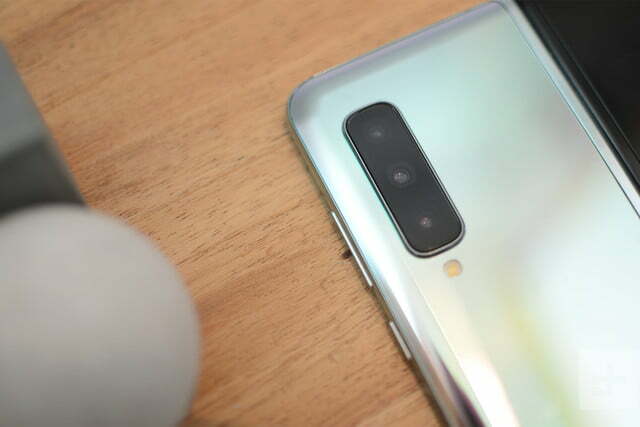 Huawei’s P30 Pro smartphone will surpass the Fold in night-time shots, and the Google Pixel 3 is probably still the better camera overall. This is based off my experience with the S10 Plus and my limited time with the Fold. We’ll be doing more testing to confirm the camera’s capabilities. 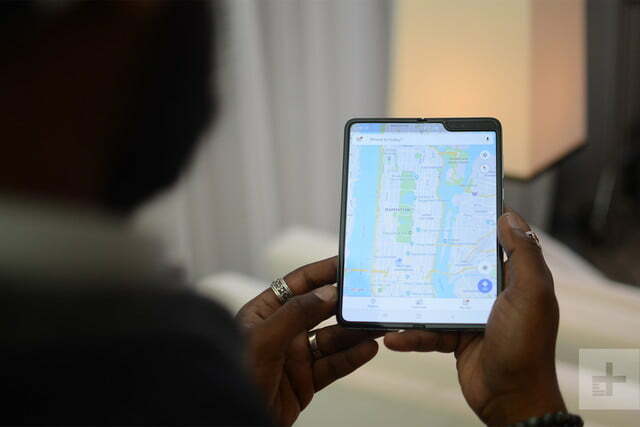 The Galaxy Fold costs $1,980, and comes with 512GB of storage and 12GB of RAM. It’s only available on AT&T and T-Mobile’s network at the moment, and comes in silver, black, green, and blue. You can also mix and match the color of the hinge for added flair. There will be a 5G model in some markets outside the U.S., but pricing hasn’t been announced yet. At the moment, nabbing a Fold is tricky. 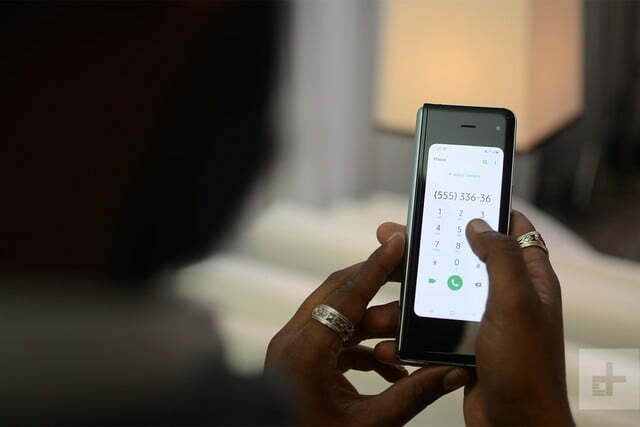 Samsung opened up reservations on April 12, and the limited number of Fold devices available have been spoken for already. 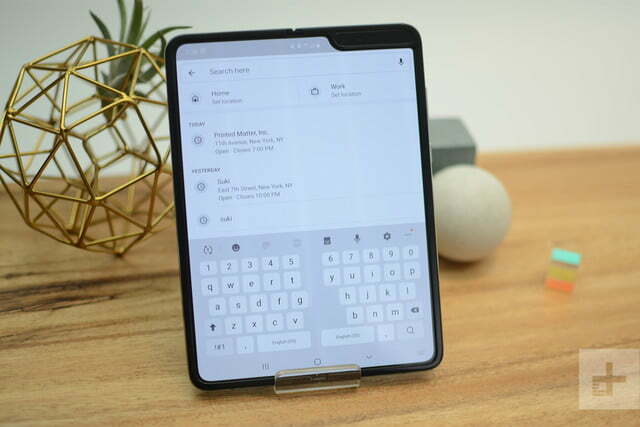 You can head to Samsung’s Galaxy Fold website to provide your email so you can get notified when more stock arrives. You may have a better time waiting until April 26, when the Fold officially goes on sale in the U.S. at Best Buy, AT&T, T-Mobile, and Samsung’s own stores. As a perk, when you buy the Galaxy Fold, you get a pair of Samsung’s Galaxy Buds true wireless earbuds included in the box, along with a case made from a Kevlar-like material. 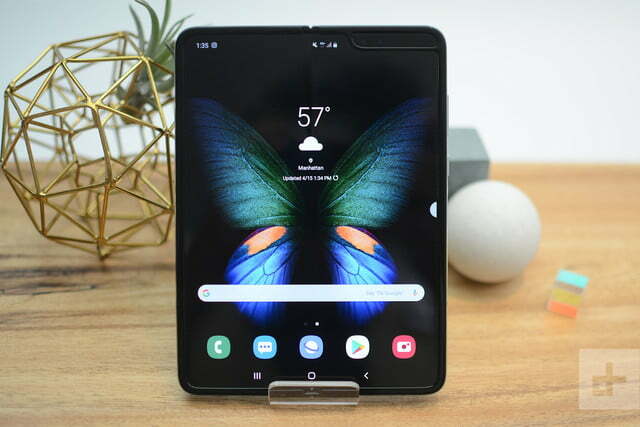 The Galaxy Fold is a lot of fun to use because it’s so new, and within a year or two, I imagine the software experience will be greatly enhanced, with far better app support as well. Samsung doesn’t have a ton of competition at the moment. 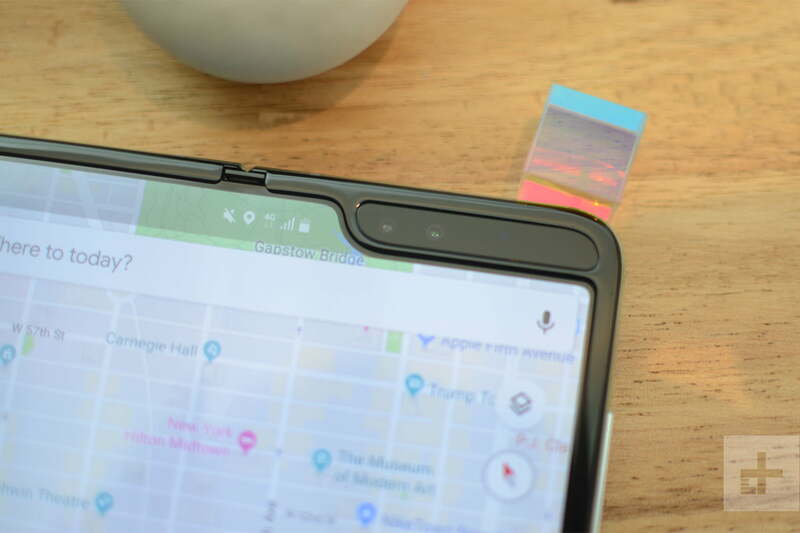 The Fold will have to fight off the Huawei Mate X, another foldable phone from the Chinese company set to release this year. 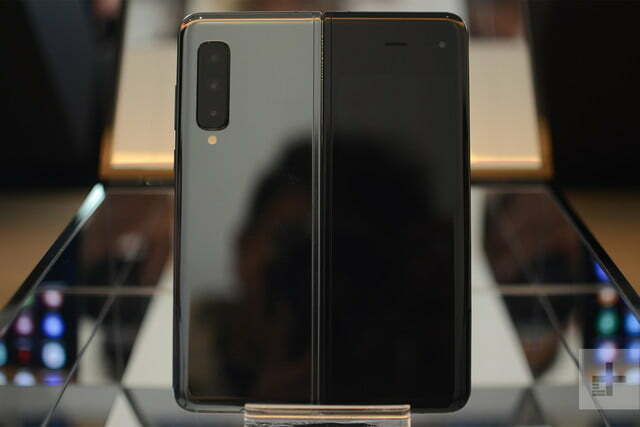 It’s more expensive, at around $2,600 (2,300 euros), but it has a beefier battery, sleeker design, an extra screen on the back, and likely better cameras — if the Huawei P30 Pro is anything to go by. Sadly, like most Huawei phones, the Mate X won’t be sold in the U.S., so Samsung doesn’t have a ton of competition at the moment. We do know other companies are working on foldable devices including TCL, LG, Xiaomi, Motorola, and maybe even Apple and Google. It’s an exciting time for smartphones, as we’re seeing some change after a few years of drab design and miniscule improvements. But until the price starts to go down, it remains technology that’s out of reach for most people.